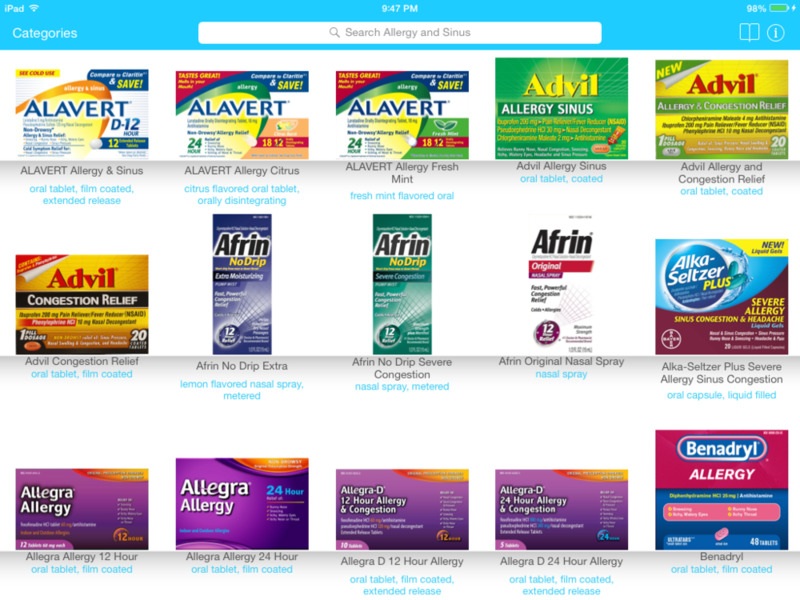 OTC Assistant lets you browse the over the counter (OTC) drug aisles of a virtual pharmacy. Browse products by category or conduct a search based on symptoms, product name, ingredient name, or common uses. When you find a product you like, add it to your bookmarks, print it out via AirPrint, or share the drug facts in an email. Peruse the shelves category by category or try a search to find what you need. Simply start typing a symptom or the name of a drug product and OTC Assistant will fill in the rest. The back of the box including all drugs facts is just a tap away.